I think I'll just admire this architectural wonder from the dryness of the tube. A new swim centre, designed by renowned architect Emanuele Boaretto, is located within the four-star Hotel Terme Millepini in Montegrotto Terme, Italy. 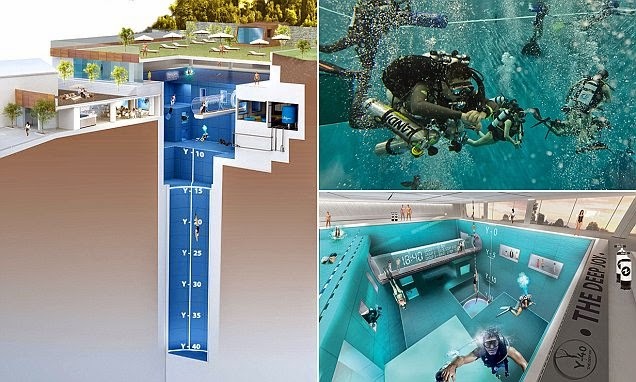 The pool is open for deep sea diving training, leisure dives and photoshoots. 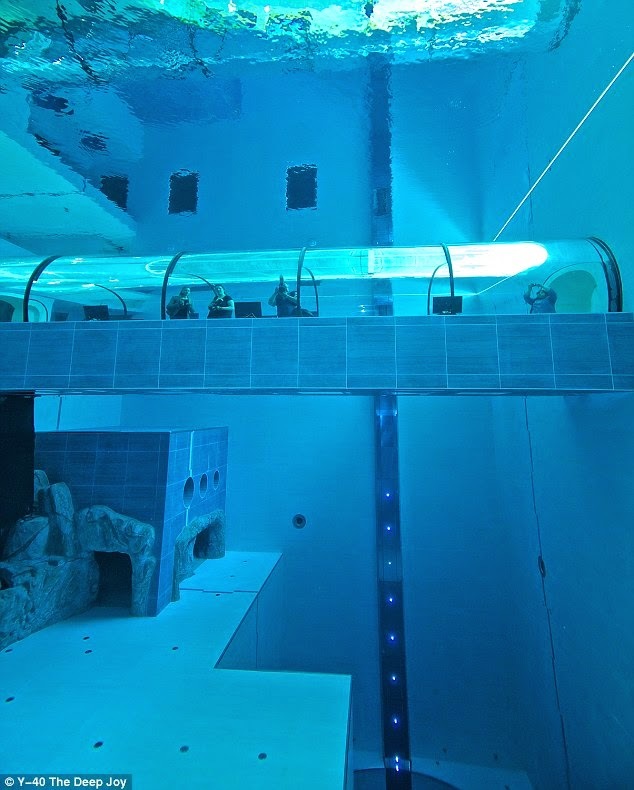 It is 40meters (or 137 feet) at its deepest and the water temp is 32-34°C. Read more at Daily Mail.